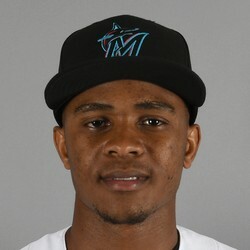 Magneuris Sierra went 0-for-5 with one RBI and one stolen base in Friday's win over the Mets. He reached base on a fielder's choice in the fourth which scored Peter O'Brien. Sierra has just seven RBI total and hasn't scored a run since September 17. He has 3 stolen bases in 52 games played. Magneuris Sierra went 2-for-3 with one RBI and one walk in Sunday's win over the Reds. Sierra has just six RBI in 48 games played this year. He gets regular playing time but does not produce enough to be owned. Magneuris Sierra went 1-for-3 with a two-run single in Monday's win over the Nationals. Sierra has put together two good games, but will need to do more than that to be owned. He doesn't start every game and is not worth an add. Magneuris Sierra went 2-for-4 with a run scored in Saturday's loss to the Phillies. Sierra has been splitting playing time recently and is struggling at the plate. He's batting .174/.188/.191 with nine runs and three RBI in 41 games. He does not need to be owned. Magneuris Sierra left Wednesday’s game vs. the Mets with hamstring tightness. Sierra injured the hamstring running out a grounder in the second inning. The young outfielder was acquired from the Cardinals this winter as part of the Marcel Ozuna trade. The Marlins are calling Sierra day-to-day.